Starting a business can be a complex and confusing process. 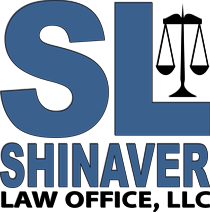 From creating your Operating Documents, to filing the necessary paperwork, to choosing the right accounting service or website host, Shinaver Law Office can help you along the way. We offer services as you need them, or we can custom tailor a plan that will not only get you up and running, but will give you access to additional services that you'll face during the operation of your business. Contact us to schedule a Business Startup Consultation and find out what we can do for you. Whether you're buying a new home, entering into a purchase agreement, or even considering becoming a surrogate, Shinaver Law Office will help you understand and negotiate the terms of your contract. We offer flat fee review and revision packages, and discounted prepaid hourly packages. We pride ourselves on finding creative solutions that benefit everyone involved and help you build long-term relationships.